Wilcox & Barton, Inc. designed and managed a comprehensive environmental assessment of a 52-acre former auto parts manufacturing facility. As the operator and tenants vacated, numerous environmental matters were left unresolved, to include groundwater contamination, hazardous waste storage, asbestos and lead paint, underground storage tanks, and contaminated soil. Work began in 2005 with a Phase I ESA. A follow-on Phase II Environmental Site Assessment included test borings, monitoring well installation, and analysis of soil, groundwater, sediment, surface water, and sludge samples. The Phase II report detailed releases of chlorinated solvents, volatile organic compounds, polycyclic aromatic hydrocarbons, and arsenic. The study revealed a chlorinated solvent plume at depth atop a clay confining layer as well as shallow soil and groundwater contamination related to releases of various petroleum products. Prior to demolition of the 370,000-square-foot structure and associated outbuildings, Wilcox & Barton, Inc. oversaw a $450,000 project to remove asbestos, lead paint, electrical equipment containing PCBs, and mercury-containing devices. Demolition generated 14,000 tons of waste concrete rubble, which was crushed and stockpiled for re-use as structural fill on the project site under permits from the town Code Enforcement office. conditions are monitored under the provisions of a Groundwater Management Permit. 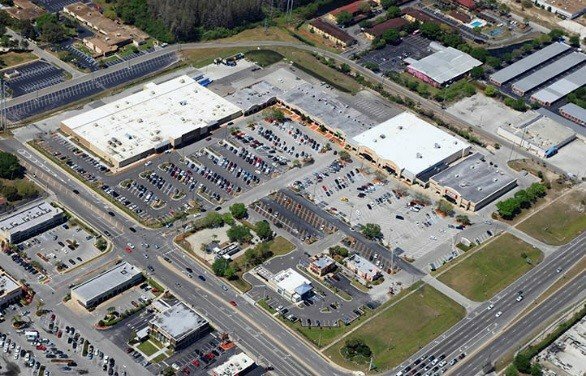 The property was completely redeveloped as a big-box retail center and completed in 2015. We managed the resolution of all known environmental issues, plus others as discovered throughout construction. Wilcox & Barton, Inc. staff provided site inspection and monitored compliance with the Stormwater Pollution Prevention Plan. Excess soil with contaminant concentrations exceeding background was characterized, profiled, and transported for off-site disposal. We also performed site assessment work in support of various lot subdivision and consolidation efforts, to include removal of relic subsurface disposal systems, demolition of additional structures, and interface with potential tenants, many with their own environmental priorities and concerns. Throughout construction, we were on site to perform air monitoring, assess worker exposure to site contaminants, and identify potential contamination during excavation.